It’s time for another work party! If you’re free, head on over to Miller Community Center Garden this upcoming Tuesday, August 23, from 5:30-7:30 pm. The Garden is behind the center next to the parking lot on 20th just off Republican. 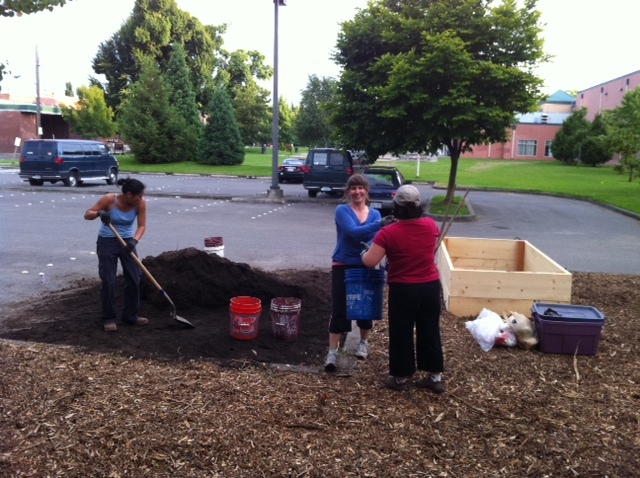 We’ll be hauling dirt into the beds and strategizing what to plant. If you have any starts or seeds you’d like to share that would be appropriate in a winter garden, please bring them along! I stopped by yesterday and the bed planted by Sophia looks incredible. Is there anything as sweet as seedlings in a row? As always, snacks and drinks provided.